At Oceanology International 2018, Trimble announced its new MPS865 (marine positioning system) multi-frequency and multi-application GNSS receiver. The Trimble MPS865 is a highly versatile, rugged and reliable global navigation satellite system (GNSS) positioning and heading solution for a wide variety of real-time and post-processing applications for marine survey and construction. It brings a new level of connectivity to the marine positioning user, and features integrated communications options such as Wi-Fi, UHF radio, cellular modem for internet connectivity, Bluetooth and MSS satellite-based correction channels. “With the addition of the MPS865 receiver to our portfolio, Trimble has introduced a new generation of rugged, compact and feature-rich GNSS, a solution the marine industry has been needing for some time. 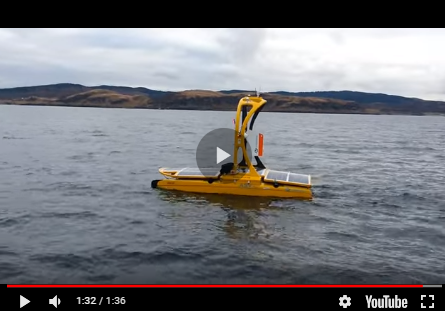 This highly flexible and capable receiver can be combined with our marine construction software providing contractors with a market-leading solution for any marine survey or construction application,” commented Scott Crozier, general manager of Trimble’s Civil Engineering & Construction Division. Visit Geo-matching.com to learn more on GNSS receivers.